The current theme at Crafty Boots Challenges is Christmas. It can be anything to do with Christmas - cards, decorations, presents you have made, just as long as it is to do with Christmas. 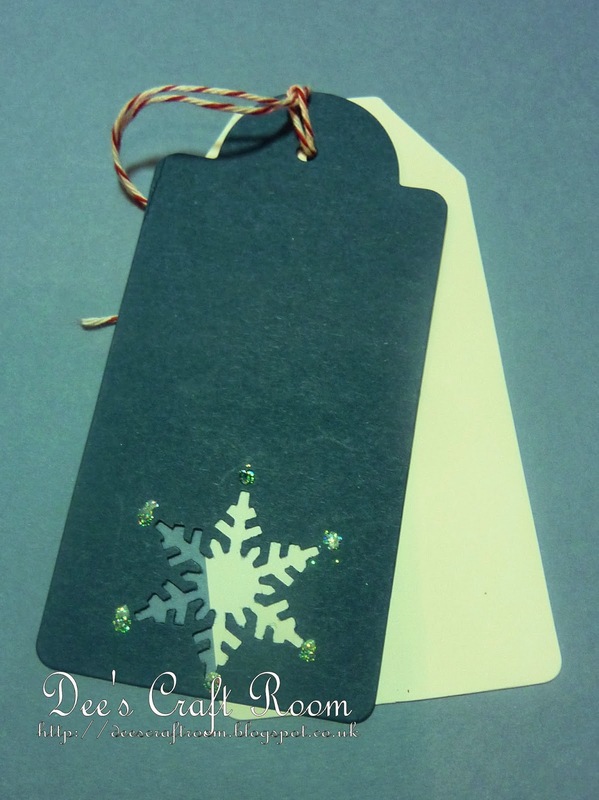 Today I have been making some gift tags as I need to start my wrapping. Now, I know that you will find this fanciful but I actually dreamt about putting this design together. I got up the next morning and got out my Big Shot and tag dies. 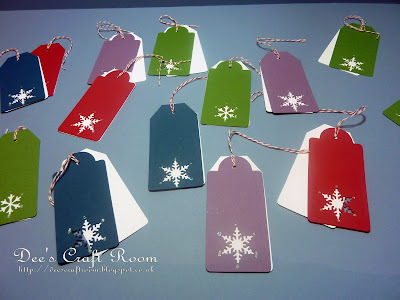 Next I cut a snowflake from the coloured card using a punch, I have several snowflake punches so I did a selection of each. I added a spot of glitter to the end of each arm of the snowflake. 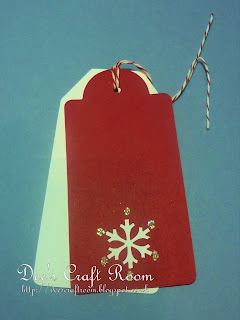 I placed a white tag under the coloured tag and finished it with some bakers twine.